Location: former Chester Beatty Library, 20 Shrewsbury Road, Dublin 4. Proposed development: demolish on site structures and erect seven three-storey over basement houses and all ancillary site development works. Applicant: OMalley Homes and Development Limited. Appellant(s): Stephen MacKenzie, Shrewsbury Road Residents Association, John Dunne. Location: Killarney National Park, Muckross, Killarney, Co Kerry (protected structure). Proposed development: broadband satellite dish at Muckross House (protected structure). Applicant: The Department of Environment, Heritage and Local Government. Appellant(s): An Taisce. Location: 32 33 Clanbrassil Street Lower, Dublin 8. Proposed development: demolish structures on site and erect a five-storey mixed-use scheme comprising four apartments, one retail unit and all site development works. Applicant: John C Carroll. Appellant(s): Daniel MacArt. Location: The Bakery, Cross Guns Bridge, Phibsboro Road, Dublin 7. Proposed development: mixed-use scheme consisting of residential ranging in height from two to 13 storeys over two basement levels; 35 medical consulting suites, café and gym. Applicant: Stateford Limited. Appellant(s): Christopher and Cora Campbell, Stateford Limited. Location: South Strand, Skerries, Co Dublin. Proposed development: 11 apartments and site development works. Applicant: Golden South Strand Partnership. Appellant(s): St Vincent de Paul Society and others, Robert McLaughlin. Location: Agharinagh, Model Village, Dripsey, Co Cork. Proposed development: residential scheme comprising 130 units, a crèche, two playing pitches, recreational facilities and all site development works. Applicant: John Murphy. Appellant(s): Dripsey Community Association Limited, John Murphy. Location: lands south of Martello Tower, Balscadden Road, Howth, Co Dublin. Proposed development: demolish disused sports building for 64 residential units, a café and site development works. Applicant: Pierse Contracting Limited. Location: Pine Avenue and Springfield Park, Foxrock, Dublin 18 (formerly part of the Loreto School grounds). Proposed development: demolish single storey house and equipment store for a scheme of 26 apartments with parking and storage units. Applicant: Mark Carroll and Barry Meagher. Location: 16-20 Thorncastle Street, Ringsend, Dublin 4. Proposed development: demolish building for a mixed-use scheme comprising seven apartments, retail and site development works. Applicant: Sean Doyle. Location: Murphy and Gunne, formerly Victor Motors, Goatstown Road, Goatstown, Dublin 14. Proposed development: demolish showrooms and workshop for 49 apartments and all site development works. Applicant: Jorcan Limited. Location: Weavers Row, Clonsilla, Dublin 15. Proposed development: demolish three houses for a mixed-use residential and retail scheme comprising a discount foodstore, four retail units and 60 apartments. Applicant: Aldi Stores (Ireland) Limited. Location: Hillcrest, Saint Brigids, Church Road, Stillorgan, Co Dublin. Proposed development: demolish bungalow for five residential units consisting of two two-storey detached three-bed dwellings, one three-bed bungalow, and two two-storey three-bed units; provision of nine car-parking spaces, landscaping and site works. Applicant: Brian M Durkan Co Limited. Location: Balure, Church Road, Killiney, Co Dublin. Proposed development: seven detached six-bedroom houses including modifications to the existing house to be retained on site, associated landscaping and site development works. Applicant: Castlepark Building Company Limited. Location: 61-62 Thomas Street, Dublin 8. Proposed development: demolish buildings for a mixed-use six-storey building to comprise of a basement car-park accommodating 15 car-parking spaces; a retail unit on the ground floor and five floors of office space. Applicant: Paul McKenna. Location: on a 3.7-acre site known as the Windmill site at the Digital Hub, Thomas Street, Dublin 8, which is bounded by Thomas Street and James Street to the south, Watling Street to the west, Bonham Street to the north and the IAWS building on Thomas Street and the Marshalsea Wall to the east. The site includes the protected structures of the windmill (also known as the Conical Tower , Watling Street) and the three-storey period building adjacent to the Bank of Ireland known as 164 Thomas Street (also referenced as 84 James Street in the Record of Protected Structures). 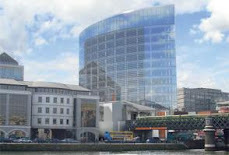 Proposed development: alterations and refurbishment of 164 Thomas Street (also referenced as 84 James Street in the Record of Protected Structures); alterations, partial demolition and retention of a number of buildings on the site including the warehouse at the junction of Watling Street and Bonham Street, the Digital Depot and former grain store buildings and the Bank of Ireland building (85 James Street) as well as the demolition of a structure to the rear of the site fronting Bonham Street; construct a mixed-use scheme of 13,378sq m (144,000sq ft) of office space and associated floor space for Digital Media, 1,578sq m (16,985sq ft) of retail floor space, 2,366sq m (25,467sq ft) of commercial floor space, 240sq m (2,583sq ft) of private office floor space, 396sq m (4,263sq ft) of financial services floor space; 103 student accommodation units and a 181-bedroom hotel. The total gross floor area of the development is 48,667sq m (523,847sq ft); 139 car-parking spaces are to be provided within a single level basement at the northern end of the site and 516 cycle spaces to be provided at surface and basement level. The development will comprise of nine structures in varying heights. Block B: six-storey structure and will have a floor area of 4,880sq m (52,528sq ft) accommodating financial services unit, two retail/service units at ground floor level. The five upper floors will accommodate 90 bedrooms associated with the proposed hotel use. Block C: five to seven storeys and includes a licensed hotel restaurant/bar, and three meeting/conference rooms at ground floor level. The upper levels will accommodate 91 bedrooms. Block D: five to nine-storey building and will incorporate the warehouse building at ground and first floor level with an additional four to seven storeys in two blocks overhead. The building will comprise digital offices at ground and first floor level and 34 student cluster units. Block E: six to nine-storey building. The lower ground floor will comprise a retail unit, laundry and service/communal areas. The upper ground floor will comprise a commercial unit, one retail unit, and student accommodation circulation spaces with 36 student cluster units at upper levels. Block F: eight-storey building and will comprise of two retail units at lower ground floor level. The upper ground floor level will comprise of a commercial and retail unit. The remaining upper levels will accommodate 33 student cluster units. Provision of 139 car-parking spaces, landscaping and site works. Applicant: P Elliott Company Limited. Location: Newcastle Lyons, Co Dublin. Proposed development: 48 residential units comprising 19 houses, seven duplexes and 22 apartments; one retail unit, 62 on-street parking spaces, landscaping and site works. Applicant: Tenbury Developments Limited. 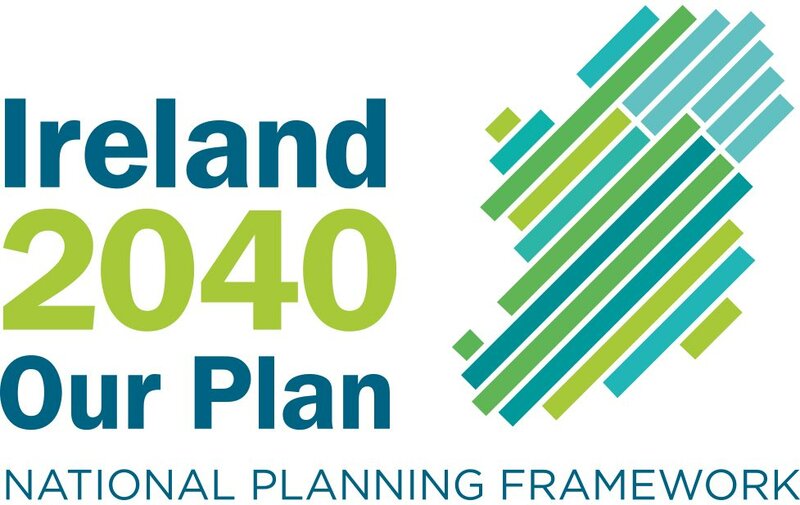 Location: on a site of c. 5.21 hectares (12.9 acres) in Zone 6 as identified within the Hansfield SDZ planning scheme 2006, formerly part of St Joseph's Hospital, Clonsilla, Dublin 15, and bounded generally by the Hansfield Road to the east, the retained St Josephs Hospital to the north, to the west by the townland of Barberstown (and permitted phase one development - Reg. Ref. F06A/1869) and to the south by the Royal Canal corridor, all in the townland of Clonsilla, Dublin 15. Proposed development: 224 dwelling units consisting of 16 two-bed units, 154 three-bed units and 54 four-bed units. The houses consist of 115 dwellings of varying types - 21 four-bed three storey end-of-terrace houses; 29 four-bed three-storey mid-terrace houses; four four-bed two-storey end-of-terrace houses; five three-bed three-storey end-of-terrace houses; 54 three-bed three-storey mid-terrace houses; one three-bed two-storey end-of-terrace house; and one three-bed two-storey detached house. The 70 duplexes will comprise of 62 three-bed two-storey units and eight two-bed two-storey units arranged in six four-storey blocks. The 39 apartments comprise eight two-bed units and 31 three-bed units in two four-storey blocks. A crèche with external play area space is also proposed and there will also be 366 car-parking spaces, landscaping and site development works. Applicant: Firth Developments Limited. Location: Everest Centre, Castle Street, Bray, Co Wicklow. Proposed development: demolish one and two-storey commercial buildings and structures for a five-storey split basement with access for 96 cars and construct overhead a five-storey mixed-use building with 971sq m (10,452sq ft) of retail and 3,419sq m (36,802sq ft) of office space. Applicant: Leafcrest Limited. Location: Dunboy Castle, Dunboy, Castletownberehaven, Co Cork (protected structure). Proposed development: permission for scheme within the grounds of Dunboy Castle consisting of 38 dwellings for use as holiday homes and for short term/holiday letting purposes comprising terraced units within two courtyards and detached units; a 128sq m (1,378sq ft) estate management office within eastern courtyard blocks. Provision of a new access route within the site to include a new bridge, four new walkways and 84 car-parking spaces; associated landscaping and site development works. Applicant: Dunboy Castle Limited. Location: former Sunbeam factory site, Commons Road, Blackpool, Cork. Proposed development: demolish building and construct four buildings ranging from one to seven floors over basement. Building one: from four to seven floors with a gross area of 10,676sq m (114,915sq ft) consisting of a retail warehouse at ground floor level and office space on floor two to six with a link to building two at first, second and third floor level. Building two: has a gross floor area of 8,605sq m (92,623sq ft) and will have a retail warehouse, a café and a convenience retail unit at ground floor with offices on first, second and third floor. Building three: five-storey building with a leisure and fitness centre at basement and ground floor level, own door office, pharmacy, crèche with outdoor play area. Building four: a single storey building with a café and access to the basement car-park. Provision of 20 surface car-parking spaces and two level basement car-park with 576 spaces. Applicant: Rothbury Estates Limited.